Round six saw an exciting matchup on board one between number one seed GM Francisco Vallejo Pons and number five seed and tournament leader GM Suat Atalik. After a less than optimal opening, GM Vallejo Pons had to dig deep to squeeze out a win against his Turkish opponent. ‘Paco’ is now in the sole lead with 5½ points, while GM Atalik stays in contention with 5. On board two Filipino GM John Paul Gomez and 3rd seed GM Jan Gustafsson, repeated moves early in an equal position. While their draw keeps both players in close contact with ‘Paco’, it may prove to be too little to reach first place in the end. In a matchup between spouses on board 3, Mr. & Mrs. Socko battled it out until only the king’s were left standing. Playing with the black pieces, GM Eugenio Torre had a slightly better position against GM Oliver Barbosa, but in time trouble the veteran went wrong several times and soon lost to his fellow countryman. In the game on board eight between Pattaya-based German GM Gerhard Schebler and Thai FM Wisuwat Teerapabpaisit, the former player came out on top. GM Schebler has recovered from his round 5 loss against GM Atalik and has a good chance for a strong finish. 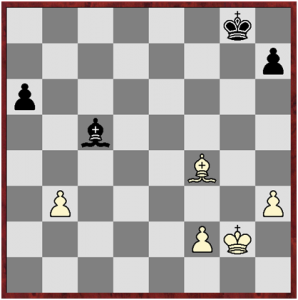 However, Atalik went for the weak 28… b4 (?). After this mistake, white missed the strong continuation 29.cxb4 h6 30.Qd7 Qxb4 31.Qe6+ Kh7 32.Qxa6 Bc5 33.Bxc5 Qxc5 34.Qe6 Qxa5 35.Qxe4+ f5 36.Qb7. 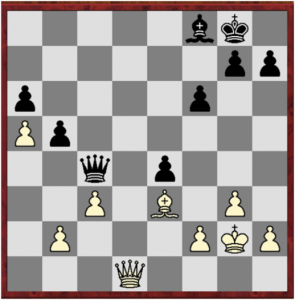 This would have given white a winning position, as the b-pawn is unstoppable and perpetual checks impossible. However, Vallejo Pons opted for the imprecise but still sufficient 29. b3 (?!) Qb5 30.c4 Qxa5 31.c5 Qc7 32.Qd5+ Qf7 33.Qxe4 f5 34.Qxb4 g5 35.h3 f4 36.gxf4 gxf4 37.Qxf4 Qxf4 38.Bxf4 Bxc5. The queens are off the board and white is a pawn up. Black can’t defend his weak pawn on a6 from attacks by the white king and stop white’s f-pawn at the same time. Vallejo Pons makes the rest look easy: 39.Be3 Bb4 40.Kf3 Kf7 41.Ke4 Ke6 42.f4 Bc3 43.Bd4 Be1 44.Be5 h5 45.f5+ Kf7 46.Kd3 Ke7 47.Kc4 Kd7 48.Bc3 Bf2 49.Kd5 Bh4 50.f6 Bg5 51.Ke5 Bh6 52.Bb4. A short profile of the new leader and nominally the strongest player at the BCC Open is indicative of the great caliber of professionals the tournament has managed to attract year after year. The top seed at the 14th Bangkok Chess Club Open 2014 was born on 21 August 1982 in Es Castell, Minorca, Spain. 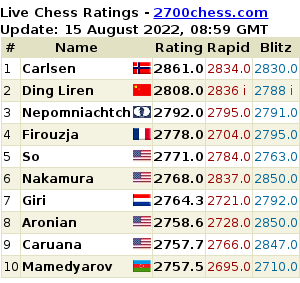 His current Elo-rating of 2693 puts the 31-year-old at 52nd place on Fide’s World ranking. Over the last few years Vallejo Pons has consistently reached ratings of over 2700, peaking at 2724 in July of 2011. This is the second time that he has participated in the BCC Open, the first time being in Pattaya in 2011, where he reached third place on tiebreak behind champion GM Jan Gustafsson and runner-up GM Nigel Short, all three players scoring 7½/9. Naturally, the Spaniard’s opening repertoire is rock solid. Playing with white he favors 1.e4, with the Sicilian being the opening he encounters most often. Playing with the black pieces against 1.e4 he regularly chooses the Sicilian or the French Defense, and against 1.d4 he prefers the Semi-Slav. 1st place with OSG Baden Baden in the 2013/14 season of the German chess league (Schachbundesliga), scoring 6 ½/8 (15 rounds in total). After six rounds of play, with three rounds to go, and having beaten one of his closest rivals, ‘Paco’ has put himself in a good position to win the tournament, yet all of his next opponents will surely put up a fight. The round 7 matchup between GM Gustafsson and GM Vallejo Pons promises more great chess. The latest results, standings and fixtures can be accessed at chess-results.com.